Why complicate things which should be easy. 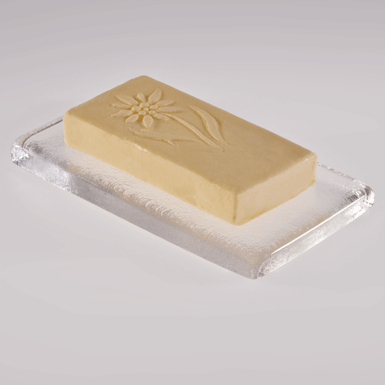 The most famous glass butter dish designed by Roberto Niederer over 50 years ago. It is considered a classic and has won several awards for good design.